Tarn Hows is one of the most striking and beautiful sights in the English Lake District. Many are surprised to discover that the landscape at this idyllic spot is almost entirely artificial. It was created by in the mid-19th century by industrialist James Garth Marshall, owner of the the Monk Coniston estate and keen landscape gardener. Prior to his intervention the area was merely 3 small pools of water surrounded by boggy groun and rocky outcrops. Marshall created Tarn Hows by damming the Tom Gill (stream) and flooding the area to create an impressive tarn. He also landscaped the surroundings and created footpaths. Many of the trees planted were brought from overseas. The magnificent collection includes European Larch, Giant Sequoia, and Norway Spruce. In 1930 the Marshall family sold the land of the Monk Coniston estate to Beatrix Potter. She immediately sold half to the National Trust at cost and left the other half to them in her will. 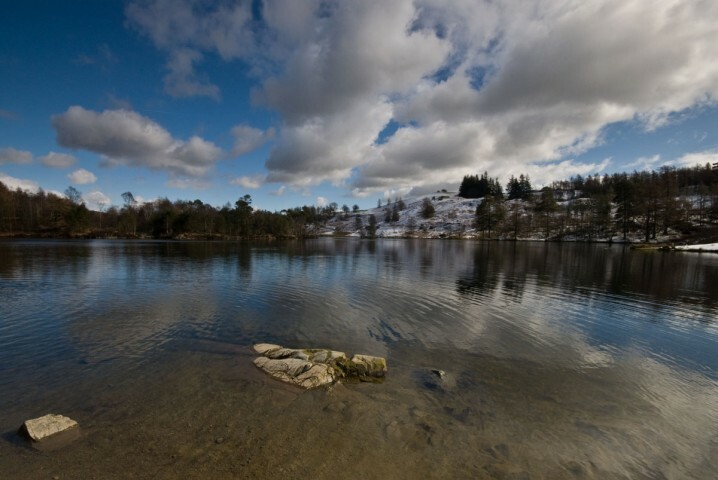 In 1965 Tarn Hows was declared a Site of Special Scientific Interest due to its rich and diverse wildlife. Sights could include the native Red Squirrel, Grey Squirrel, Herdwick Sheep, Roe Deer, Red Deer, Great Spotted Woodpecker, and Daubenton’s Bats (emerge at twilight to hunt for insects over the water). The walk around Tarn Hows takes around an hour. The path is pretty flat, well-maintained and suitable for wheelchairs and pushchairs. Tarn Hows lies on a minor road off the Hawkshead-Coniston road (B5285). There is a National Trust car park (pay & display) at its southern end. Toilets and visitor information signs are also here. 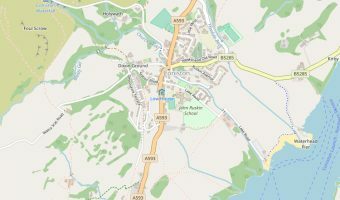 Map showing location of Tarn Hows.